How do we stop texting while driving? Yesterday on Facebook, a story brought out a surprisingly large reaction from users. 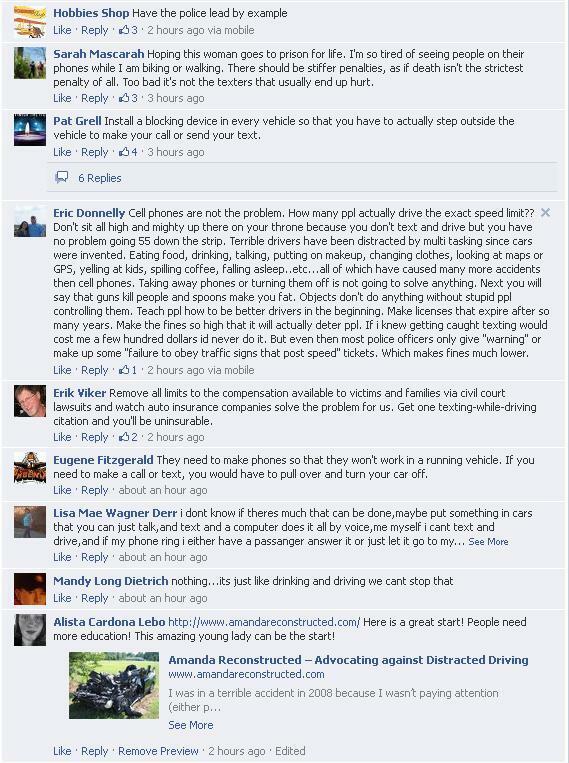 We asked “How do we stop texting while driving?” while linking to a story about a woman who was charged with manslaughter for texting while driving before a fatal crash. People had some good ideas. I guess what struck me though, were those that said maybe it can’t be stopped. They have a point: we outlaw texting while driving, drinking and driving, speeding, but that doesn’t stop people from doing it. So can anything be done? Should technology take care of it? What do you think – can texting while driving be stopped?